Wooden Bow Tie, model Cheesy GrinProduct description:Bow Tie made of wood and silk sat.. Wooden Bow Tie, model Classic StyleProduct description: Bow Tie made of wood and silk satin, wh.. Wooden Bow Tie, model Country CharmProduct description: Bow Tie made of wood and silk satin, wh.. Wooden Bow Tie, model DelicacyProduct description:Bow Tie made of wood and silk satin,.. Wooden Bow Tie, model Double FishProduct description:Bow Tie made of wood and silk sat.. Wooden Bow Tie, model EleganceProduct description: Bow Tie made of wood and silk satin, which p.. 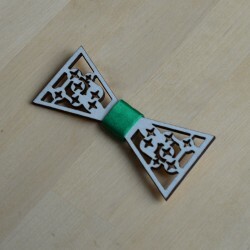 Wooden Bow Tie, model Emerald CharmProduct description: Bow Tie made of wood and silk satin, wh.. Wooden Bow Tie, model EnigmaProduct description: Bow Tie made of wood and silk satin, which presen.. Wooden Bow Tie, model Fish-boneProduct description:Bow Tie made of woo.. Wooden Bow Tie, model Funny BunnyProduct description:Bow Tie made of wood and silk sat.. Wooden Bow Tie, model HappinessProduct description: Bow Tie made of wood and silk satin, which .. Wooden Bow Tie, model Little DotsProduct description: Bow Tie made of wood and silk satin, whic.. Wooden Bow Tie, model Lucky BoneProduct description:Bow Tie made of wood and silk sati.. Wooden Bow Tie, model Middle WayProduct description: Bow Tie made of wood and silk satin, which.. Wooden Bow Tie, model MoustacheProduct description:Bow Tie made of wood and silk satin.. Wooden Bow Tie, model Music SoundsProduct description: Bow Tie made of wood and silk satin, whi.. Wooden Bow Tie, model Oriental SpellProduct description: Bow Tie made of wood and silk satin, w.. Wooden Bow Tie, model Pure TraditionProduct description: Bow Tie made of wood and silk satin, w.. Wooden Bow Tie, model SimplicityProduct description: Bow Tie made of wood and silk satin, which pres.. Wooden Bow Tie, model StillyProduct description: Bow Tie made of wood and silk satin, which pre.. Wooden Bow Tie, model SuccessProduct description:Bow Tie made of wood and silk satin, w.. Wooden Bow Tie, model Twisted MustacheProduct description:Bow Tie made of wood and sil.. Wooden Bow Tie, model Wooden CutProduct description: Bow Tie made of wood and silk satin, which..